Travel+Leisure Names JapanQuest Journey's Scott Gilman to A-List 2018! 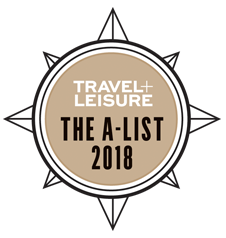 Travel+Leisure Names JapanQuest Journeys’ Scott Gilman to A-List 2018! Scott Gilman, co-founder of JapanQuest Journeys, has been chosen for Travel + Leisure’s A-List 2018, an annual collection of the best travel advisors and specialists. T+L recognizes Scott’s expertise on Japan, his dedication to excellence and his ability to deliver the highest-caliber unique experiences for our clients. Read Scott’s 14-day Japan Itinerary Featured in Travel+Leisure. Scott’s itinerary provides a fabulous window into one of the many personally curated trips offered by JapanQuest Journeys. Learn more about JapanQuest Journeys’ Awards and Designations!